Written and photographs by Hubert Hung. Jared Purfield is featured in the videos and photographs. Jared and I have been writing review for Clubit TV since the end of last year (read our review of Aventuria) with a view to add video content this year. 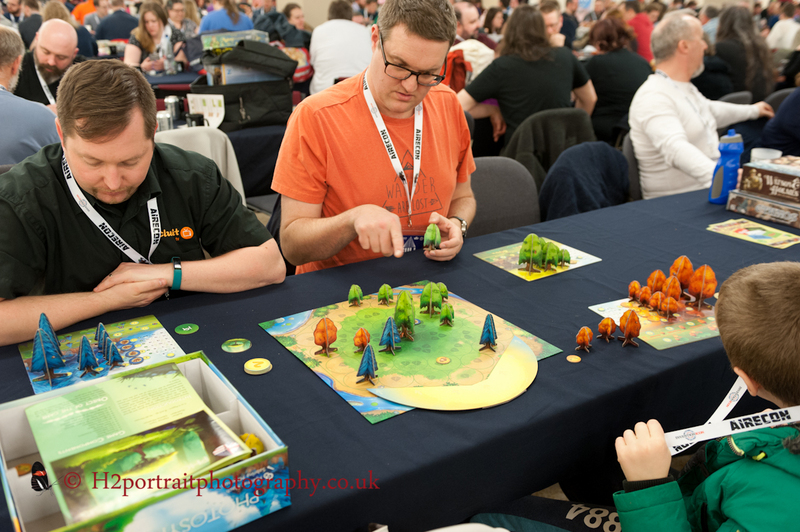 We were very excited to attend our first board gaming convention. 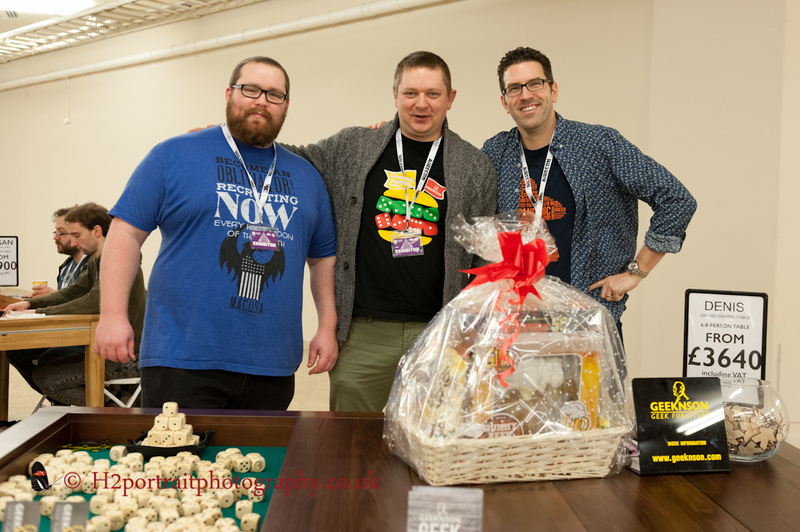 This blog is all about our experiences of Airecon 2018. 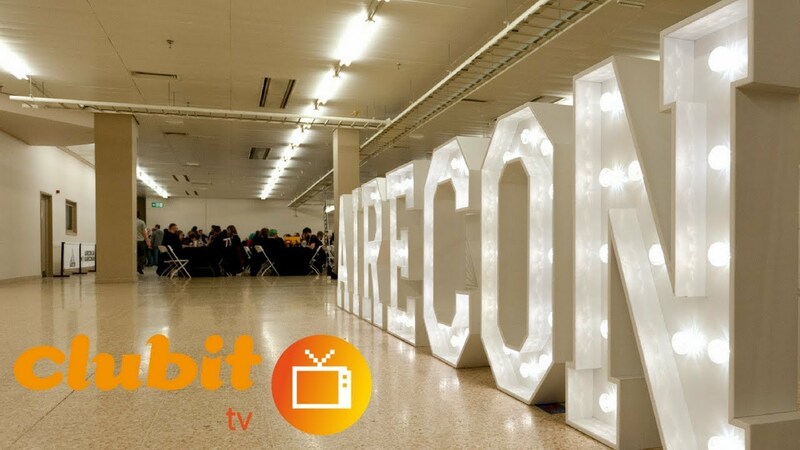 For a brief summary of what this convention is all about read the preview of Airecon 2018. We met up with them again the following day and played Queendomino with Reike. I won that game, YAY! 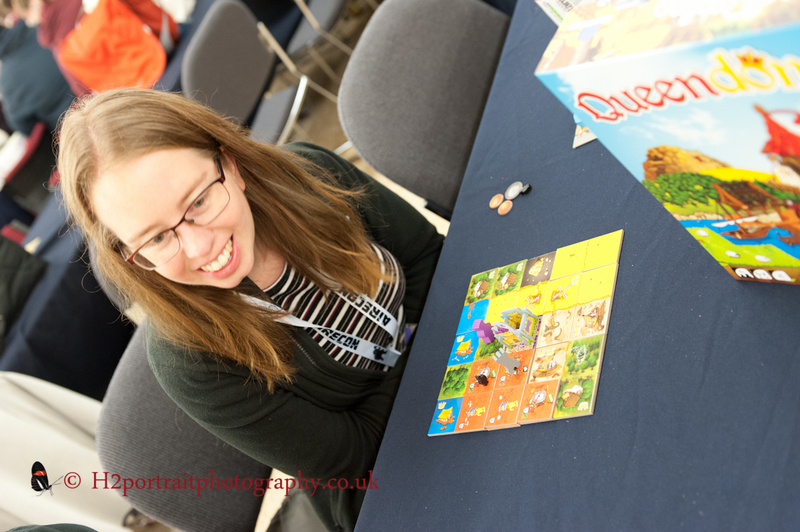 Reike from Amsterdam at the end of Queendomino. 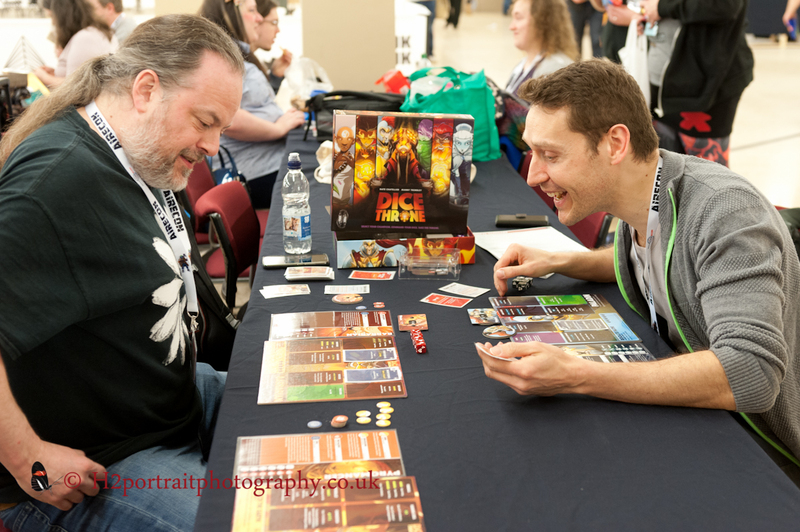 Board gaming conventions tend to fall into two distinct camps. 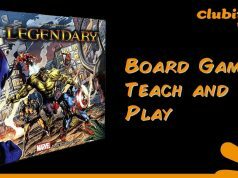 One with an emphasis on playing board games with a few vendors and the other towards selling board games with a small area for gaming. Airecon is the former. 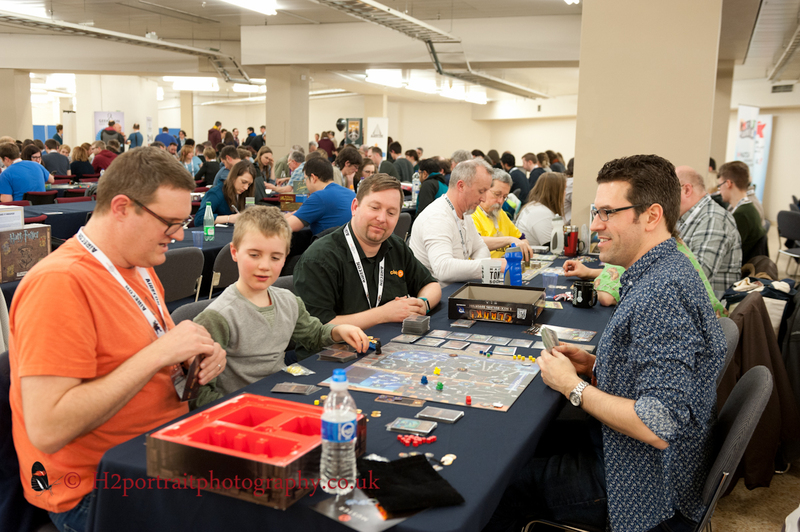 There were four large areas for gaming including one for families with two large boards for Pandemic and Ticket to Ride (see photos below) and other for role-playing games like Dungeons and Dragons. There was also a games library. 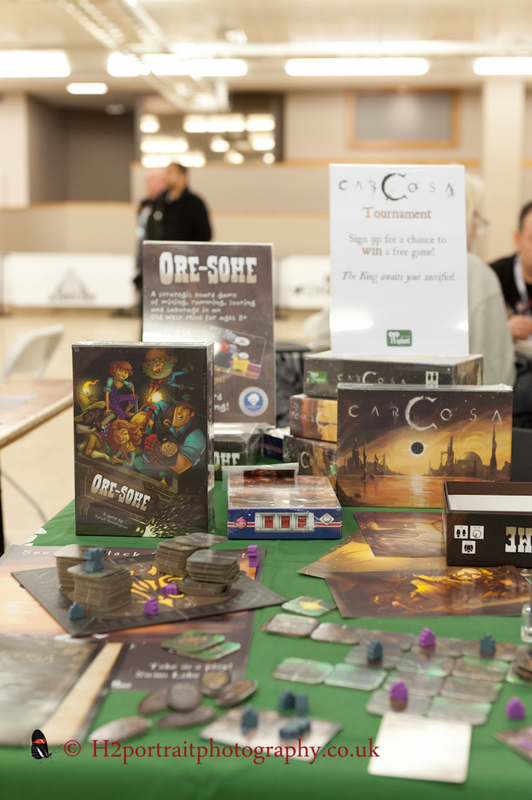 Attendees placed a deposit and could borrow a game to play. It saves you lugging parts of your collection to the convention. My collection is just over thirty games and that is tiny compared to many. We played Dice Forge and Ascension from the library over the weekend. There are also break-out and food areas. 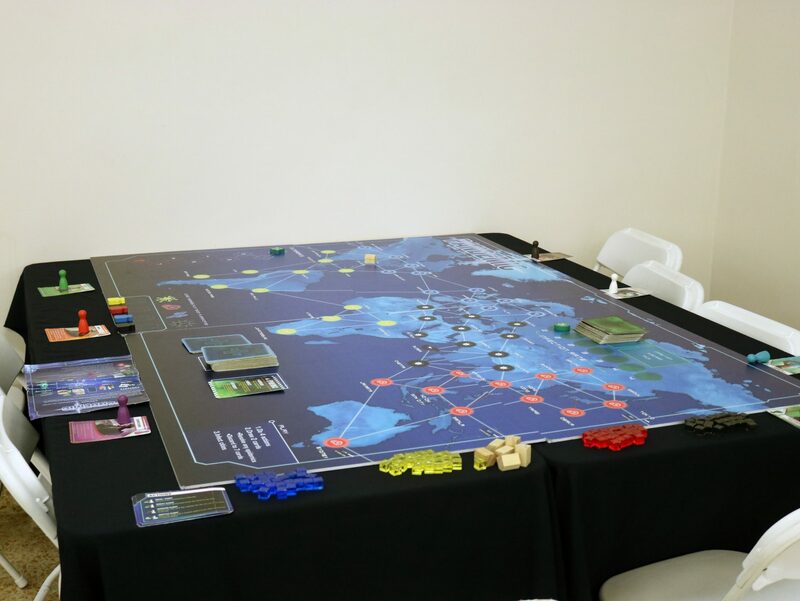 A large Pandemic board in the family play area. 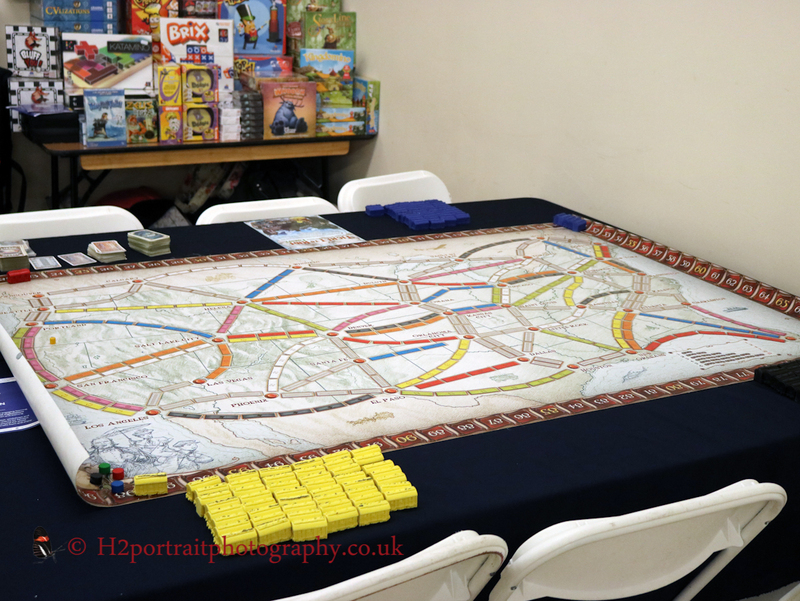 A large Ticket to Ride board in family board gaming area for the little ones. 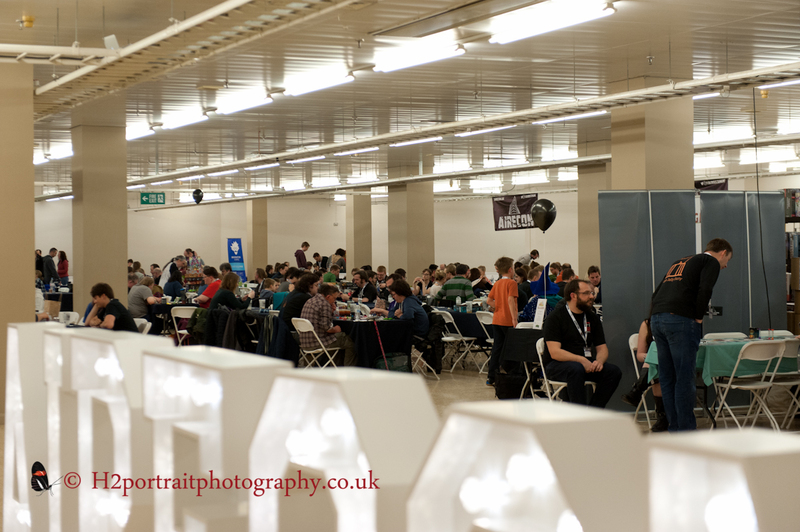 Some of the gaming tables at Airecon 2018. There were a lot of them. We were playing Ascension one of the first deck building games. I lost. 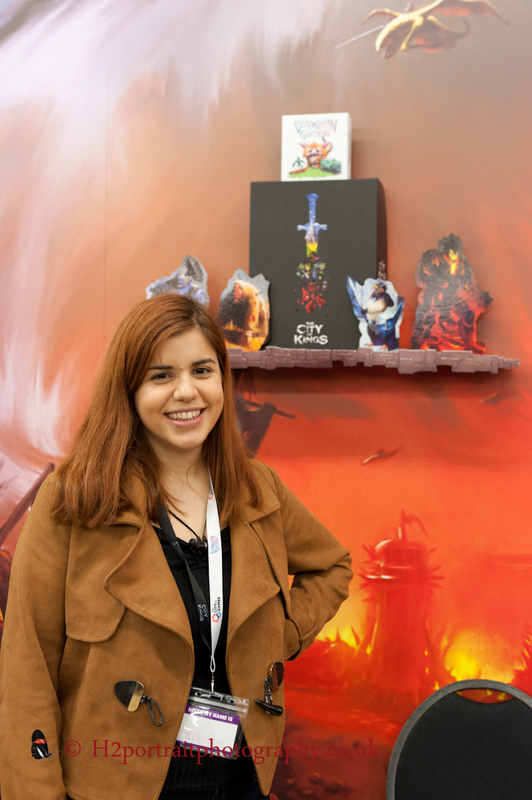 In the middle of the convention centre, there were a few vendors and others promoting their games that were crowd funded. Some of them have very high production values with amazing artwork. At the back of this area, people could sell their games. By Saturday afternoon the shelves were full and there was a long table in the middle with even more. 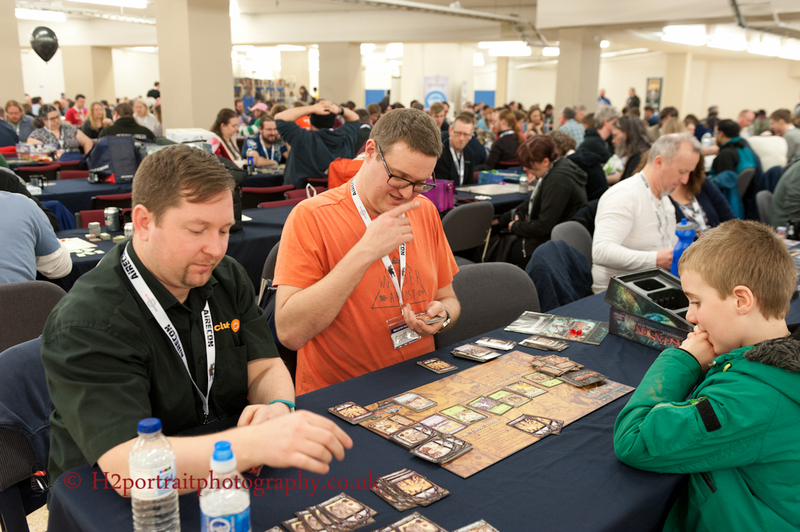 There were also vendors selling board gaming accessories like neoprene gaming mats, dice trays, bags and even board game themed smellies. 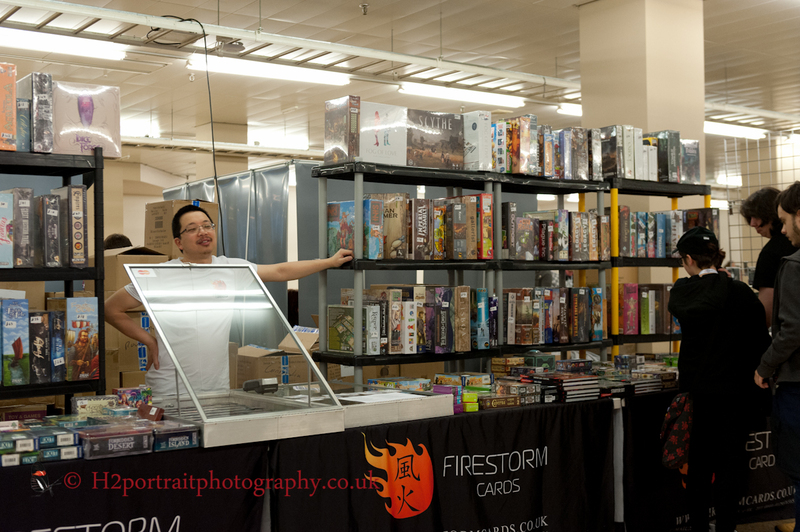 Jimmy, owner of Firestorm cards. I bought a team pack of Dice Masters from him. I asked him to bring it with him and he did. The games Ore-some and Dim Carcosa for sale. 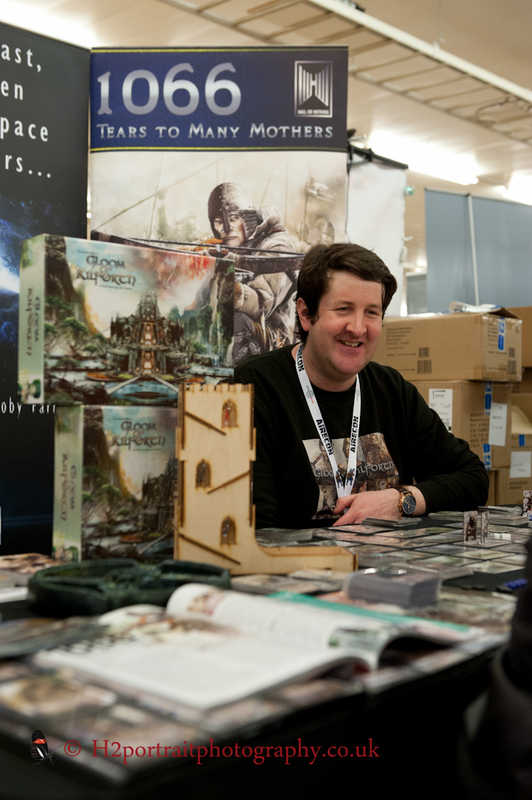 Tristan Hall designer of Gloom of Kilforth a game with stunning art. 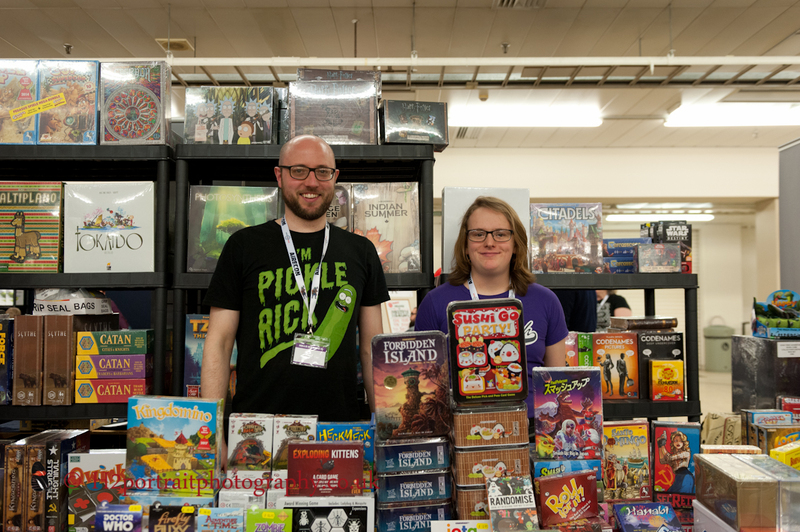 Whilst walking around Airecon 2018 in Harrogate we bumped into a couple of board game designers who were not promoting their games and there just to play games and enjoy the experience. There were gamers who run their own board gaming podcast channels on YouTube milling around. They were helping out on the game library. I was sat playing a game and I looked up and saw this lady walking around. Her face looked familiar and I tried to workout why. Back at home, I realised it was because I had seen a number of her game reviews. Matthew Jude one of the contributors from the Dice Tower helping out with the games library. Contrary to slanderous rumours, he does not smell. There are even companies, Geeknson, that will sell you a board gaming table. They are plush. Rodney Smith of Watch it played with the Geeknson boys. 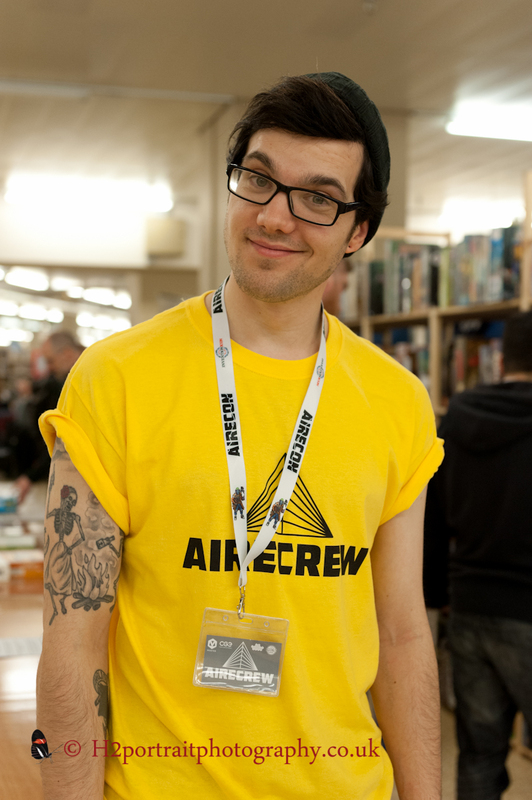 The main attraction for Airecon was Canadian Rodney Smith. He runs a YouTube channel called “Watched it played” with over 119K subscribers. On his channel he shows people how to play a game and in some cases plays a whole one with his co-host Pep McDonald. This makes learning a game easier and, by watching a game being played, you can figure out whether it is for you. They do not express an opinion on whether the game is good or not. However, they would not playing it if it were awful. Many people, including myself, have benefited from his videos. A number of people took selfies with and chatted with Rodney. Some of us ended up playing games with him including myself. I managed to rope him in for a game of Clank! with my young friend William. When I asked him if he could play his favourite game right now, what would it be? He said, “Clank!”. I gave him a high-five as this is my favourite game too! We played on the Sunken Treasures expansion board (this was the first time I had played on this board). Rodney took a risk early on in the game and this proved to be his undoing as he was knocked-out on his way out of the dungeon. He would have won if he made it out. Rodney is a pleasant and friendly chap. We enjoyed playing a game and chatting with him. We did not have any poutine to feed him. William was largely responsible for the demise of his dad who also perished in a dungeon. Over the weekend I played seven games. Only two of them were new to me. I enjoyed playing all of them. I was beaten by an eight-year old (William) twice. 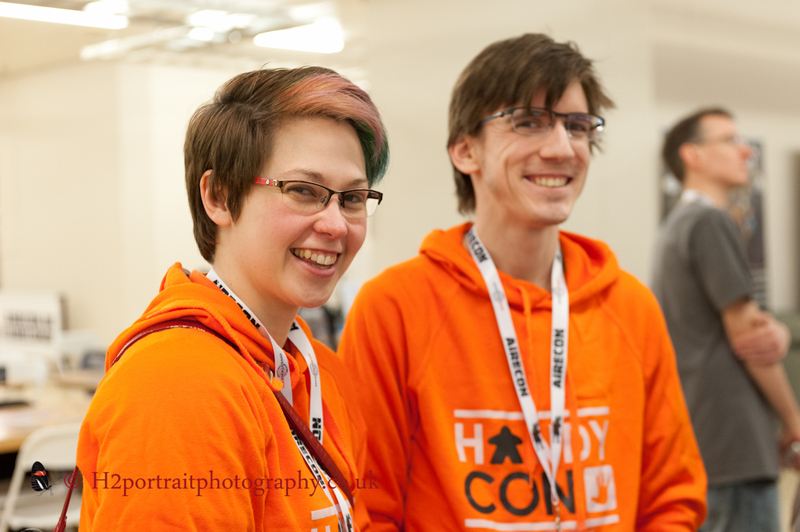 I saw a number of familiar faces from various board gaming groups that I attend, met other gamers and (as mentioned) board game designers (who are also gamers). 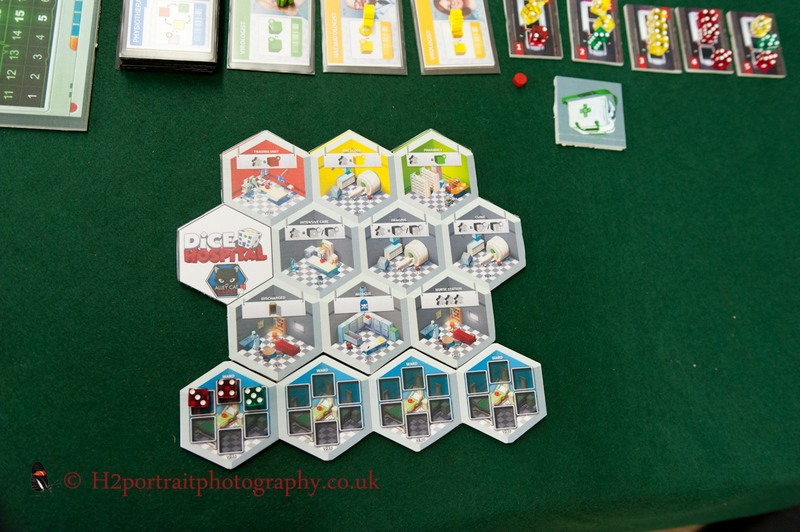 The games we played were: Dice Throne, Roll Player, Dice Forge, Queendomino, Ascension (original game), Photosynthesis, Clank! 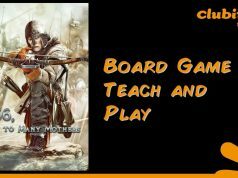 (Sunken Treasures board) and Villages of Valeria (you can read my review of this game). Rodney Smith from the YouTube channel ‘Watch it played’ playing Clank! (Sunken Treasures board) with my couple of my friends from the Aireborough board gaming group. I did manage to walk away spending less than twenty-five pounds on a few booster packs for Dice Masters from Barny from CCG and Board Game Social store and a neoprene dice tray. So many dice fall onto the floor in a pub and it is pain trying to find them especially when they are small and have a dark colour. This should help. If there are no dice, it makes a good token holder too. Jared did not fare so well. He has been after a game called Photosynthesis for some time. He bought it on Saturday and played it there and then. He said the game was taunting him as he could see it on a shelf behind me when we were playing Dice Throne on Friday. One man from my gaming group walked in with a small empty shopping bag. It was not long before it was carrying three new games. I found out later he was only allowed to buy one! Jared and Gordon playing Photosynthesis. 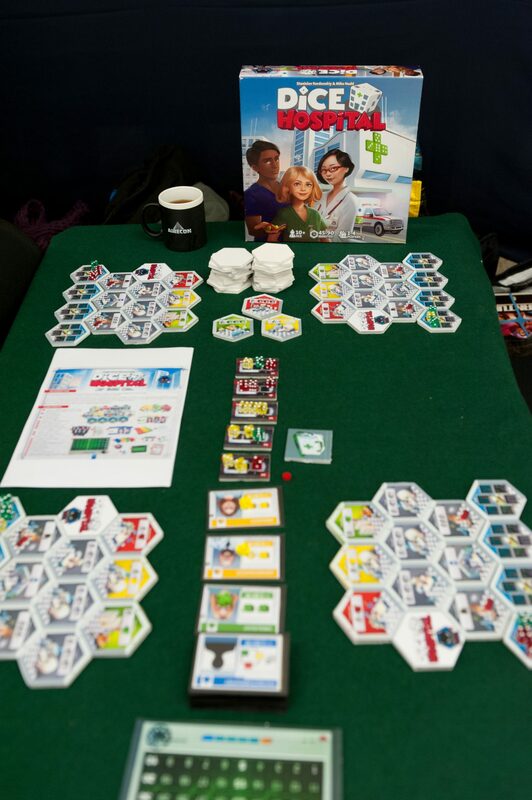 I also came across Dice Hospital a game that is in the process of being printed after a successful crowdfunding campaign. One of the co-designers, Mike Nudd was there. 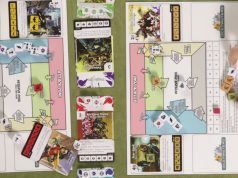 We chatted and I photographed a late prototype of the game. He was sporting a cool hat like myself. I have been told the ETA for the game is the summer of 2018. I brought the box cover back to torture Jared who is after it. Hot off the press, The City of Kings Board game. 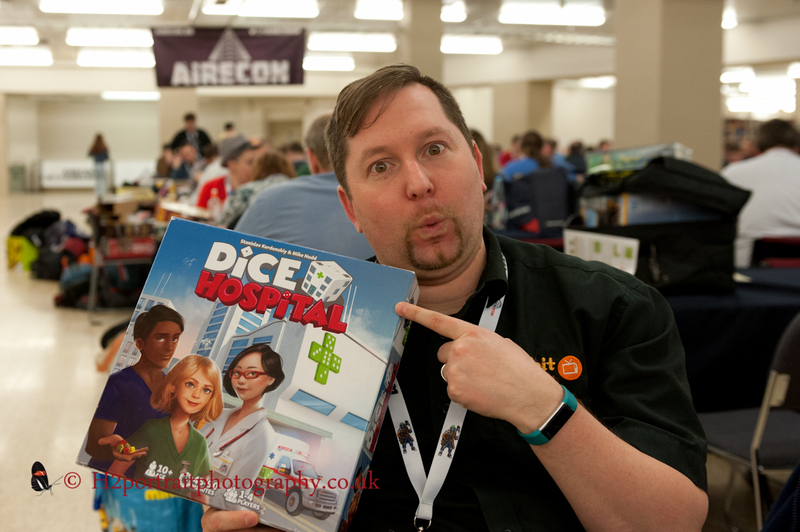 Jared with the lid of Dice Hospital. He really wants this game. I did chat with one of the co-designers, Mike Nudd. Like myself, he also likes wearing hats. Mark the founder and organiser hard at work at the City of Kings stand. The next Gloomhaven….? 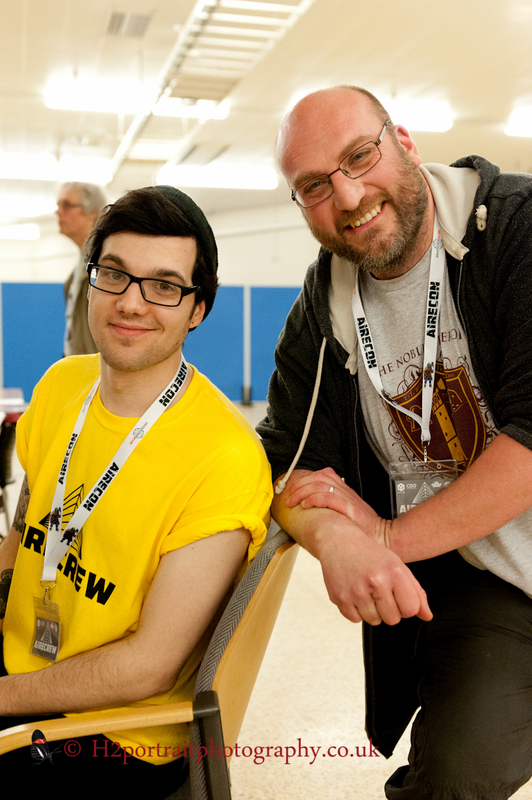 I met the founder and organiser of Airecon, Mark. I am sure everyone who attended or was involved is grateful to him, his team and all the volunteers. So much work went into Airecon 2018. I do not think he ever stopped. Many thanks and a hearty round of applause! It was an extremely busy convention that never felt cramped even with the numbers. We are looking forward to 2019 and staying for much longer. 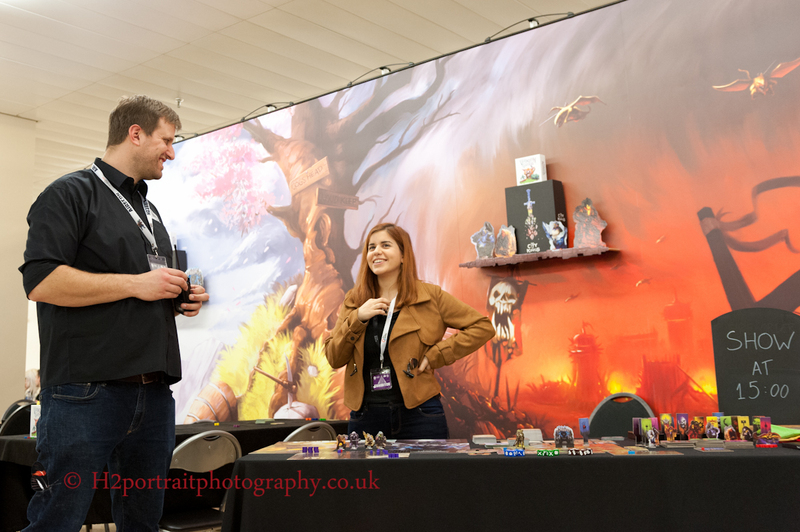 If you were at Airecon please leave your experiences below in the comments.